Tomintoul whisky distillery is a distillery that has spent most of its life focused primarily on providing whisky for use in blends; however in recent years its single malts have stepped into the limelight to a greater degree, and to an enthusiastic reception. 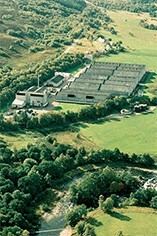 A fairly new distillery, founded in 1965, it eventually became a prominent part of the Whyte & Mackay blended whisky, and was owned by the company for several years, before eventually coming into the possession of the current owners, Angus Dundee Distillers in 2000. 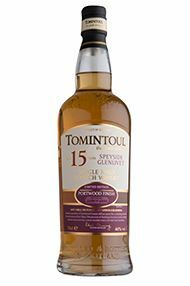 The single malt whiskies have recently been very well-received: the Tomintoul 33yo won the Best Speyside Single Malt Whisky 21 Years and Over in the 2010 World Whiskies Awards. The distillery puts this success down to the work of master distiller Robert Fleming, whose ancestors have been involved in the creation of Speyside Glenlivet whisky for four generations. A punch of pepper and smoke announces this port finished Tomintoul, followed by berry fruits and sweet Victoria sponge. Berry fruits turn to boiled sweets and caramel when sipped. To finish, citrus and creamy with lingering berried fruits.